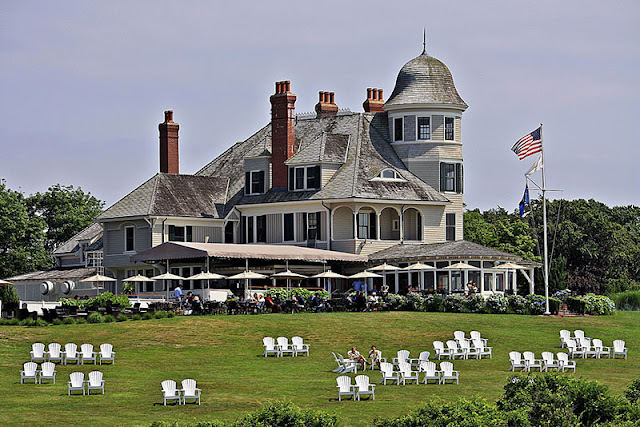 There are few places more quintessential New England summer chic than Newport, Rhode Island. And the perfect place to take it all in on a sunny day is the rolling lawn overlooking the harbor and the Jamestown bridge at the Relais & Chateaux property Castle Hill Inn. Whether you are staying at the property or not, you can enjoy a lovely alfresco lunch at their informal bar and restaurant called The Lawn. Think warm summer breezes, fresh salty ocean air, frosty cold cocktails, and delectable favorites like lobster rolls, a variety of seafood and juicy burgers (topped with lobster if you want!). I used to come to Newport for writing transcription and translation of videos on the river bank. It is a beautiful place to concentrate.